Notes: It would have taken me less time to finish this if it's not for London. The sweater was way too big for traveling, and by the time we came home I had other things on my mind. The good news is the recipient likes the sweater and said the cables are perfect. Glad it's DONE! Gorgeous! 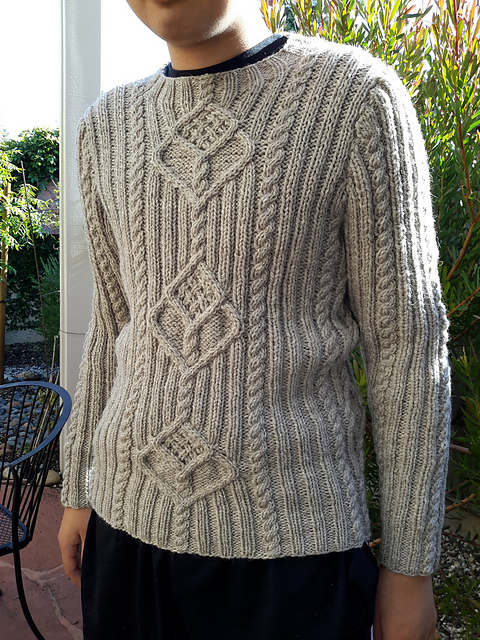 I just picked up my cabled sweater that I started in Jan 2014!! Hoping it won't be another 18 months before I finish it. I love it! Very nice work, and the cables ARE perfect!